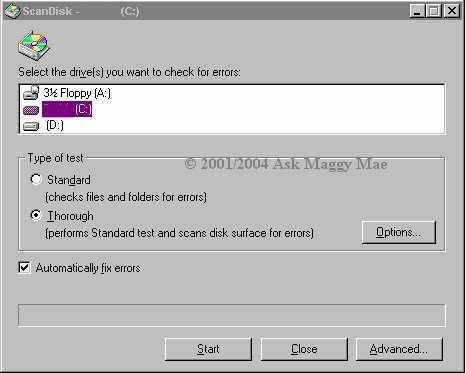 Scandisk will find errors on your drive that may be causing you problems. Repeat process until the only 3 programs running are the three in #2. 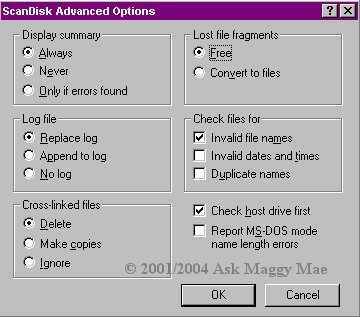 After being sure your settings are set to your preference then click OK. It will bring you back to the previous window. 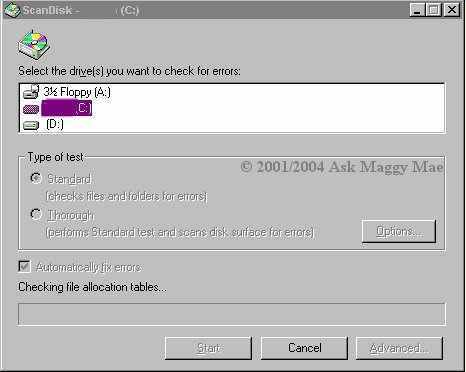 Check off the Automatically fix errors and then click start in that window and you will see the following window. At the bottom of the window there is an indicator to show just how far the scandisk has progressed. 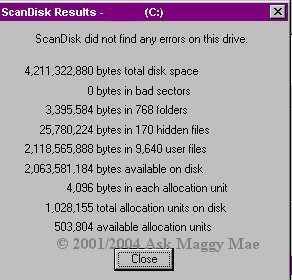 All you need do is sit back and wait for scandisk to finish. When it is finished you will see a window similar to below displaying your results of the scan. The thorough scan is slightly different and will take much more time to run. I don't recommend doing this one except maybe once a month just to be sure there are no major problems with the hard drive. Or run it if you still have problems after running all the other tools. If the options are set up right click OK. Again the indicator will run through the process but an added process will be at the end. When done you again will receive the box displaying the results of the scan.